Traditionally a blog was simply an online journal. Now blogs can be so many different things — ePortfolios, magazines, online communities, podcasts, forums, directories, newsletters … the list goes on! A blog is a blank canvas that you and your students can bring to life for any purpose. 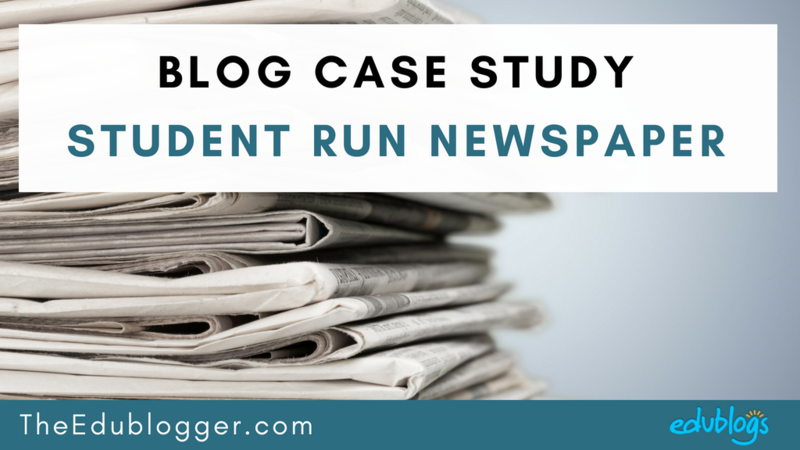 A student run newspaper is one type of blog that can offer many advantages for students. This post showcases an impressive newspaper run by the students at Zurich International School in Switzerland (ZIS). ZIS has had their own CampusPress blogging network since 2012. It’s basically an Edublogs network branded and customized for their own school. The ZIS network is mainly used for student ePortfolios. They also use blogs to complement the diverse range of student activities on offer. One of these is their student run newspaper — The Lion’s Journal. 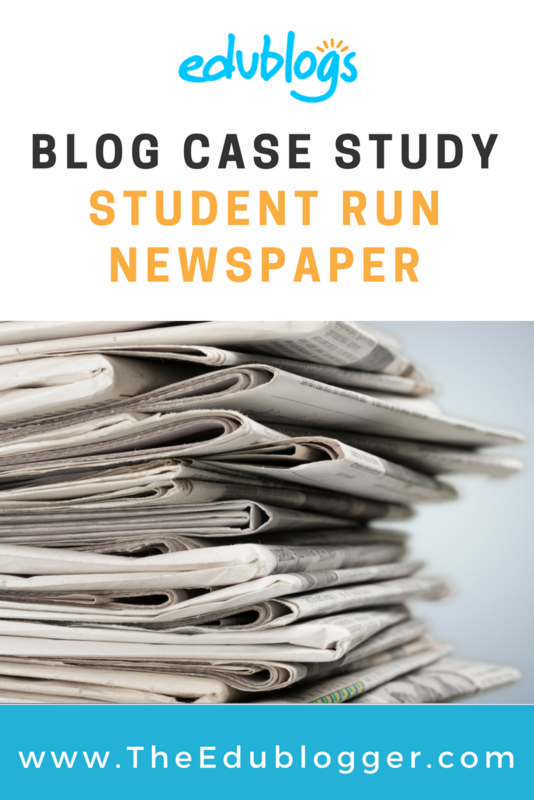 Have you ever considered helping your students set up a student run newspaper on a blog at your school? We interviewed ZIS teacher Ian Hoke to find out more about their impressive publication. What is the aim of The Lion’s Journal? The aim of the student newspaper is to provide authentic opportunities for students to write, make media, and lead one another in a meaningful project. How do the students get involved? Upper School students can freely join the club, but the structure of the newspaper club itself is unusual. Students in the club participate in deciding on coverage, building a calendar, etc. The editors of the newspaper are entirely drawn from the club. However, any student may submit to the newspaper at any time for consideration for publication. Additionally, the school has a Digital Journalism course that students may take for three or four years, if they wish. Students in this course are expected to occasionally submit their work to the newspaper. What moderation takes place, if any? How much autonomy are the students given? Students have full control over the site including the installation of themes and plugins. (Ian agreed that removing boundaries can lead to higher levels of responsibility and self-regulation). The faculty advisor, me until this year when my role changed to more administrative, may be consulted, but makes no decisions about publication, design, etc. This is not a school newspaper, but a student newspaper, so they have full control. As a result, they can be very fastidious about fact checking and the like, particularly when the topics become controversial. We are comfortable with them taking risks and possibly making mistakes. Thus far, there have been some exciting moments, but they have managed their newspaper so well that we have had no problems to date with irresponsible publication. What are the benefits of the newspaper to the school? It provides students an outlet for their writing and media products. Teachers sometimes use pieces from the paper in their classes, as well. Over the past six plus years, it has showcased our very talented students and also been an inclusive group that provided success for a heterogeneous array of kids. This speaks to our school’s mission and values. Analytics data also shows that alumni, parents, and grandparents view the newspaper as a way to stay connected with our students and school. What are the benefits of the newspaper to the students? Students learn authentically through their participation in and leadership of the newspaper. Yearly since 2012, ZIS has sent reporters, editors, and several editors-in-chief to various Model United Nations gatherings like Paris and The Hague. Our student journalists have a sterling reputation at MUN because they come to their newspapers with a sense of real responsibility for their work – they haven’t been controlled by adults, but rather are responsible for their work. Many of our students have gone on to lead student newspapers and magazines at their universities, as well. When it operates best, the newspaper is also a common space for student voice. The impressive way in which ZIS challenges their students to take risks and responsibility shines through on publications like The Lion’s Journal. Their articles demonstrate that the ZIS students care about the world and the planet. ZIS students are not waiting for the future to begin authentic tasks. Through their ePortfolios and The Lion’s Journal, students are developing crucial 21st century skills such as communication, collaboration, critical thinking, and creativity. Who knows where these experiences will take them? Do you have any questions or comments about student run newspapers? Leave a comment! Who do you need to survey? Feel free to let us know the details. Maybe someone in the community can help. Using only the free version of edublog, what theme would you recommend to create a student-run newspaper? If you go to Appearance > Themes in your dashboard, I recommend clicking on the Magazine category. I think lots of these themes would work well for a newspaper and you have lots of options with a free blog! If you get your student run newspaper up and running I’d love to see it. Learn how integrating process and content can help you digitally transform. how do you use eportfolios? are these eportfolios blogs on edublogs? Thanks! The students’ ePortfolios are hosted on the school’s CampusPress network. CampusPress is our sister service — it’s basically Edublogs branded for individual schools, disctricts, universities etc. The students’ ePortfolios are private but you might like to check out this post about student blogs and ePortfolios for more ideas and examples. but at the moment we are not able to involve many students. That’s great to hear, Roberto. I hope you’ll be able to increase student involvement over time if that’s your goal. Good luck! This is a good question, Rebecca. I believe they have found that cyberbullying has not been an issue, simply because the students own and regulate the newspaper. No doubt, with their common goal, there isn’t room for cyberbullying. We have found that blogging (in its many forms) can be an excellent way for students to authentically learn how to interact as responsible digital citizens and publish responsibly etc. If you’re interested in reading more about this topic, check out How To Teach Digital Citizenship Through Blogging.